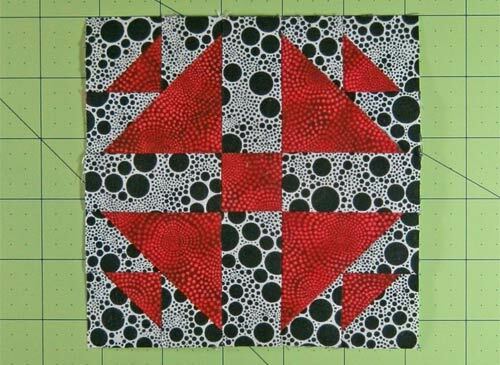 The two fabric Duck and Ducklings quilt block, while drawn on a 5x5 grid is truly an uneven 9-patch in construction. 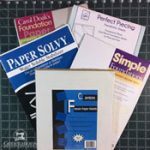 On this page you'll find both traditional and paperpiecing cutting dimesions and instructions for 3 block sizes, as well as the necessary paperpieced patterns to download. To press, first press the pieced unit flat to set the seam. 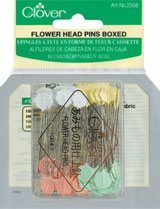 Then open the patch, pressing from the front. 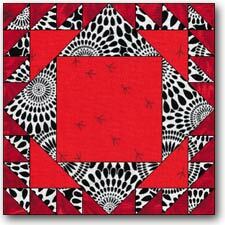 You may want to reduce or eliminate the use of steam for paper pieced blocks. Steam tends to curl the paper. 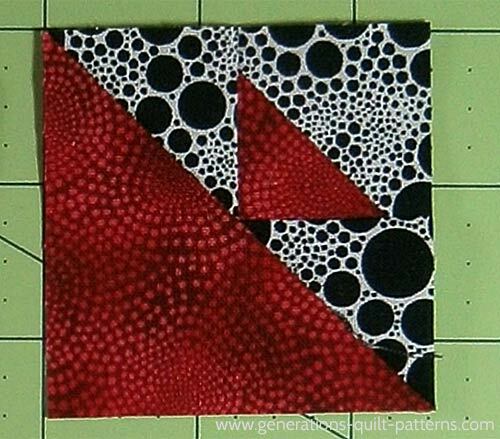 For flatter quilt blocks, check out our favorite pressing technique. It works even with the foundation attached. Now THAT'S sweet! 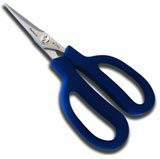 Cutting charts are provided for both paper (blue) and traditional (mauve) piecing methods. 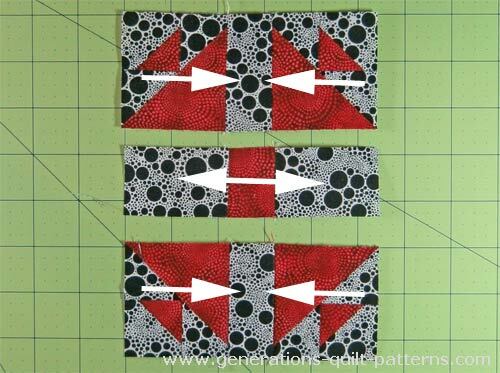 Paper piecing patches are cut oversized to make it easy to position them properly the first time. All patches are cut as squares unless otherwise noted. 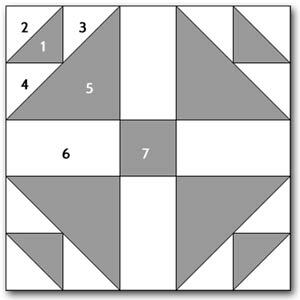 For example, from the Traditional (mauve) piecing chart for a 10" finished block, for Patch #1 you'll cut two 2-7/8" x 2-7/8" squares and then subcut once on the diagonal. 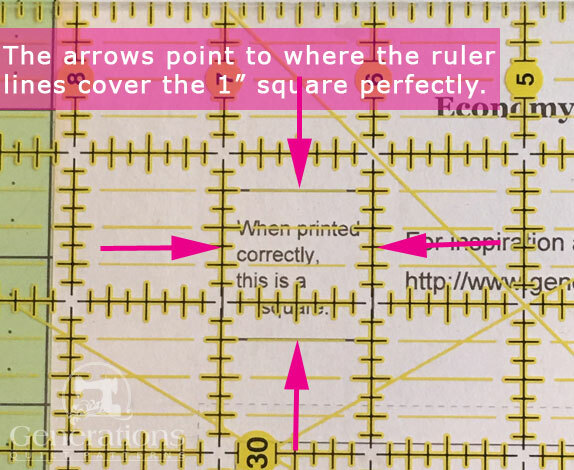 If you are using patches sized for traditional piecing from the pink cutting chart, skip this step. 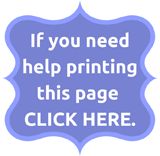 Otherwise, download the Birds in the Air paper foundation pattern. The one you need is listed on the blue chart (above) on the line fourth from the bottom. 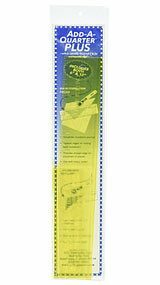 For foundation pieced instructions, go to Birds in the Air unit. For traditional instructions click here. When you are finished, click the 'back button' on your browser to return here. 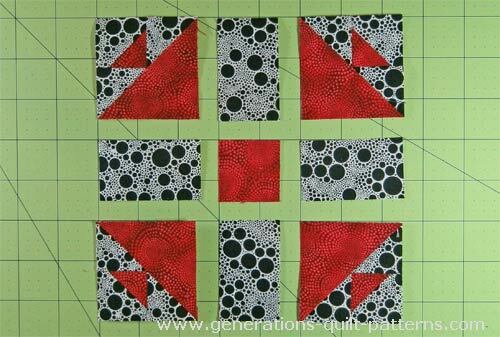 Lay out your pieced and cut patches into rows. Stitch the units into rows. Press with the seam allowances pointing in the direction of the arrows. Sew the rows together. 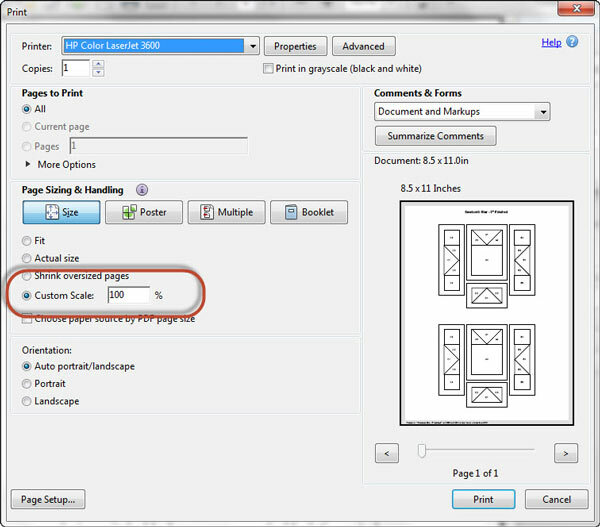 Your SAs nest which makes matching the seams so much easier and less bulky, too! 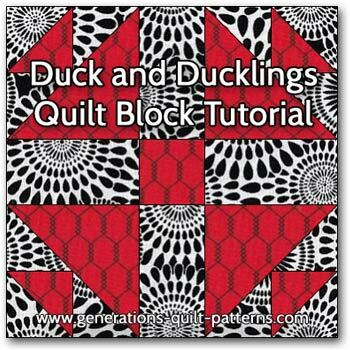 These two blocks, while completely different from each other, are also called Duck and Ducklings. 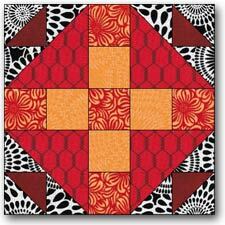 This simple variation also goes by the name Aunt Kate's Choice. 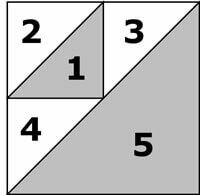 The side rectangles have been replaced with two squares. Same name, but a completely different block drawn on an 8x8 grid. There's more blocks to make!